Little athletes. Little athletes become bigger athletes someday. My dad used to take me to volleyball games long before I was old enough to play. I sat on the bleachers right next to him and discussed the game. I watched, waiting for the day I could play. 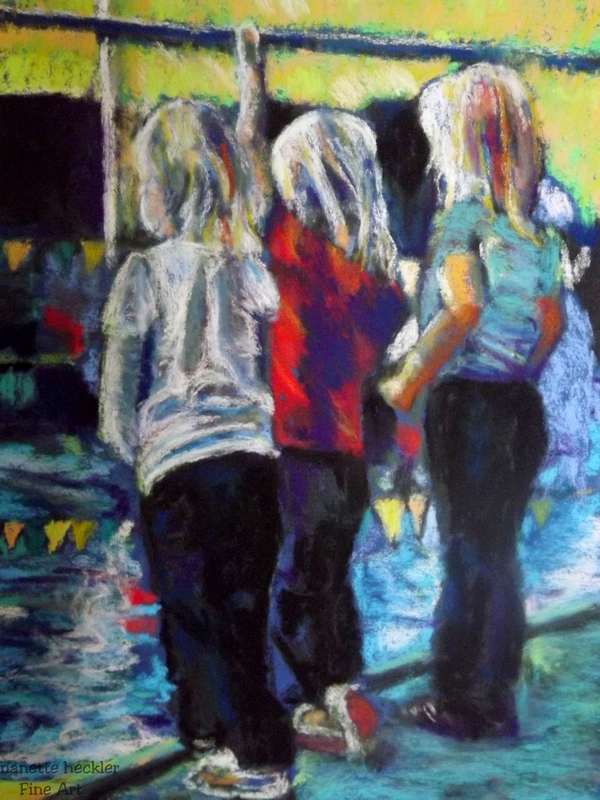 When I saw these girls lined up against the clear glass panel looking on to the swim meet below, I knew I had to visually record the scene in my own artistic way.